Reviewed: Marvel Now! Hawkeye ARTFX+ Statue by Kotobukiya | 'TAIN'T THE MEAT… IT'S THE HUMANITY! Next up from Kotobukiya’s Avengers Now! 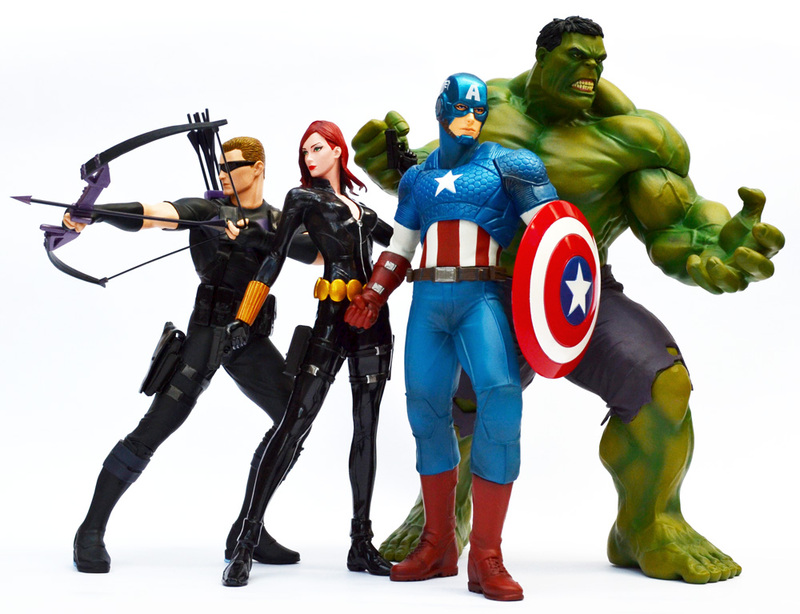 collection of pre-painted statues is Hawkeye. The Japanese manufacturer’s Marvel Now! 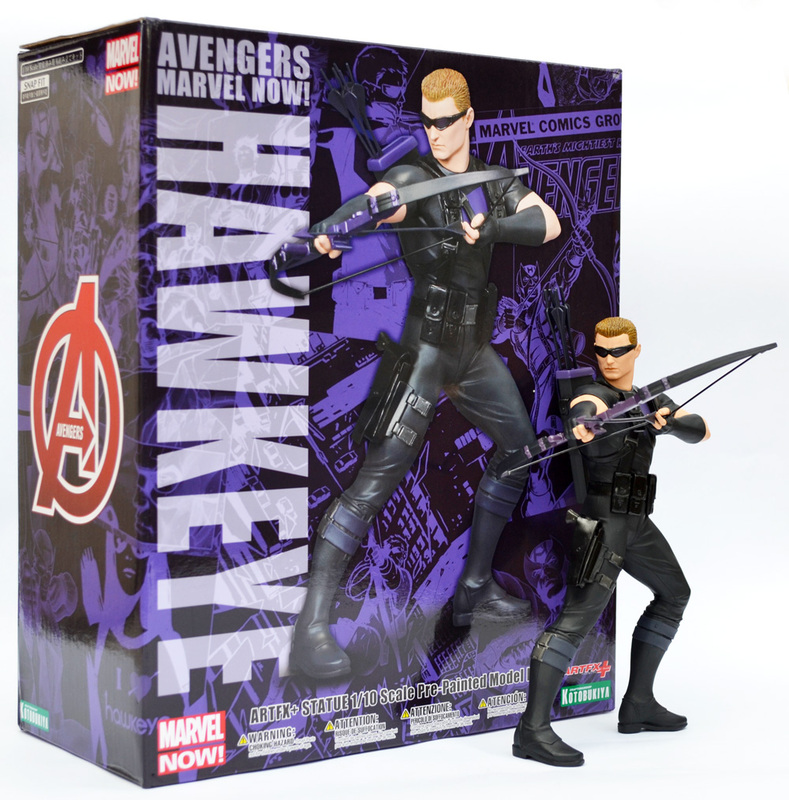 Hawkeye ARTFX+ Statue was released a week or so ago, and is the fourth of six snap together model kits based on artist Adi Granov’s interpretation of the superhero team. The first statue, The Hulk, was released earlier this year while The Black Widow was released a couple of months ago, followed by Captain America a few weeks later. Measuring seven and a half inches tall (or eight inches if you include the arrows in his quiver) this model kit comes in three pieces: head, torso and right arm; left arm, and legs. The statue also comes with some accessories: a bow; a quiver and six arrows. Some assembly is required fitting the bow together and the kit comes with an easy to read instruction sheet. The model is supplied pre-painted and no glueing is required to assemble the model/statue as the pieces fit together quite firmly, with the seams in Hawkeye‘s costume hiding the joins. As with the other statues in this collection Hawkeye also comes with a plain square black base. 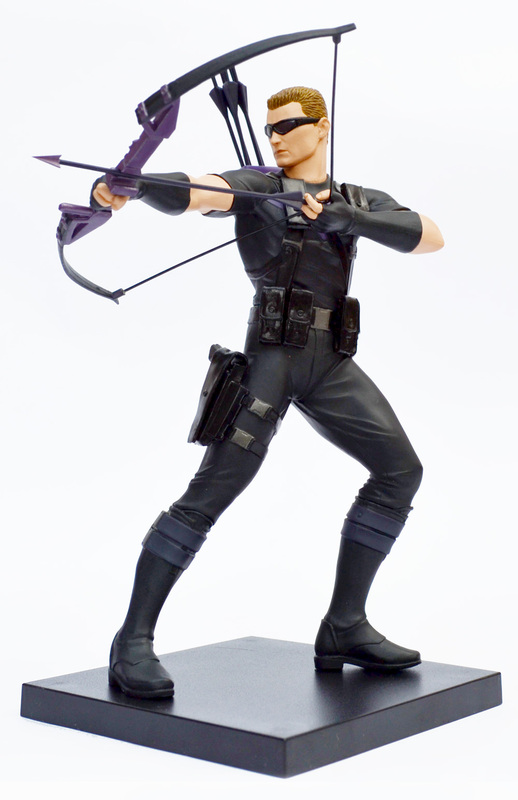 Sadly, like the Captain America statue, Hawkeye is very wobbly on his feet and won’t stand without the aid of the base. Whether this is due to the bow throwing the model off-balance or his uneven feet I can’t tell. It’s a shame though as both The Hulk and Black Widow statues stand perfectly well without their bases. Apart from not being able to stand unaided this Hawkeye statue looks very good indeed. The paintwork is very well done (I love the purple lenses in his shades) and I like how the matt-leather effect of his outfit contrasts with the shine of his holster, belt and straps. The level of detail is also impressive, from the moulding of the statue’s hair to the workmanship of the bow. 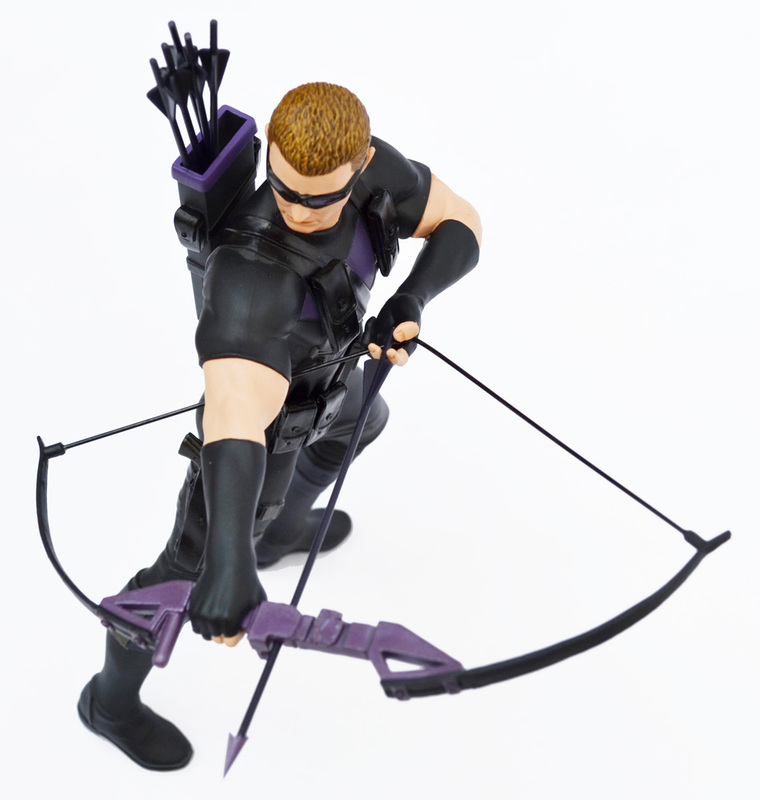 All-in-all Hawkeye continues Kotobukiya’s tradition of producing high quality statues. 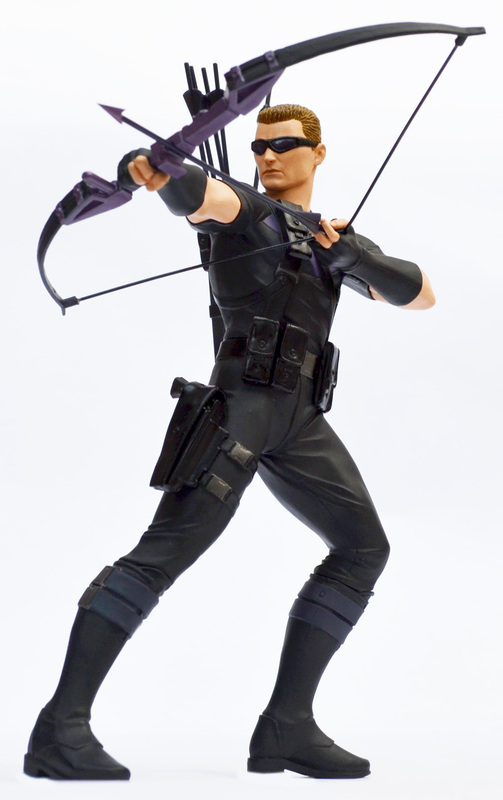 The Hawkeye ARTFX+ statue retails for around £/$45, which is pretty cheap considering the high standard of craftsmanship. But as much as I like this statue my appreciation is tempered somewhat by the model’s inability to stand unaided. Compared to the level of work that’s been put into the rest of the statue it’s a shame the magnetic base is so uninspired, and it’s a real pity the figure won’t stand up without it. 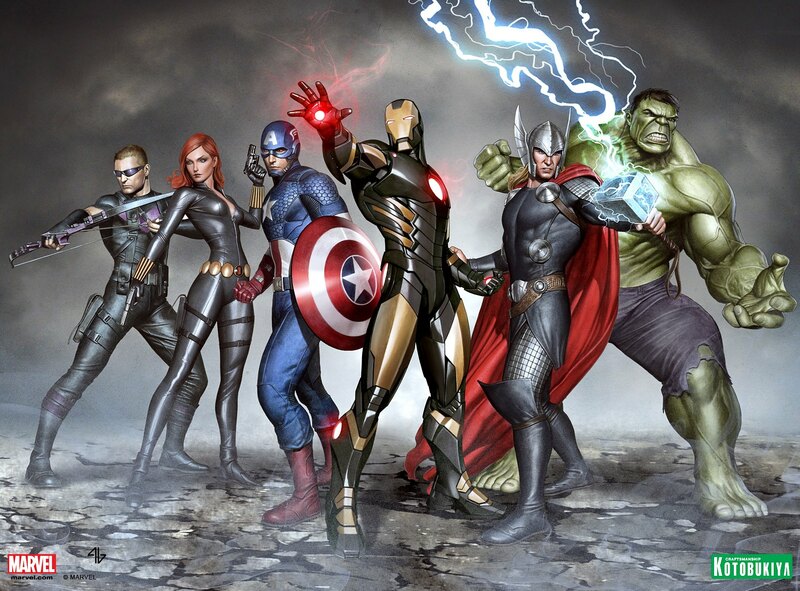 Kotobukiya are releasing the remaining two Avengers statues, Iron Man and Thor, before the end of the year. The next statue – Thor – is scheduled to ship sometime around mid-October and I’ll post some images when I get my hands on one (click here).